This feminine Forevermark necklace, part of the Tribute collection, displays timeless beauty. Crafted in 18K white gold, a .20ct bezel-set round diamond pendant is presented on a precious metal chain. Simple and striking, the sparkling piece of jewelry has a modern aesthetic that you'll love. 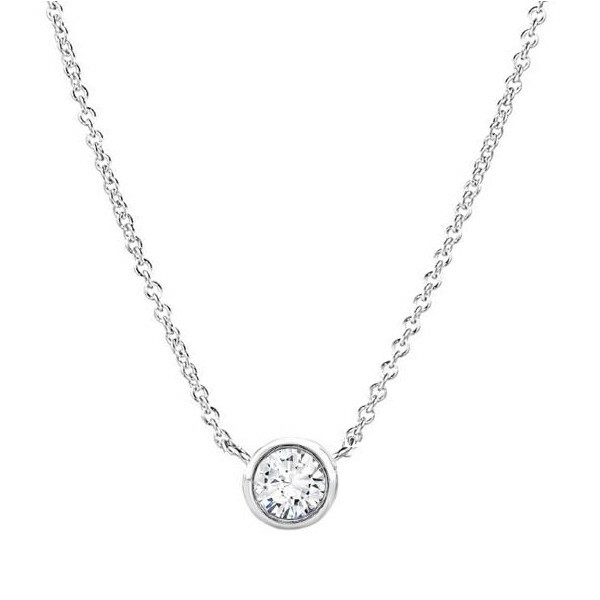 This Forevermark pendant necklace will quickly become a favored go-to!